RAS AL KHAIMAH, 14th April, 2019 (WAM) -- H.H. 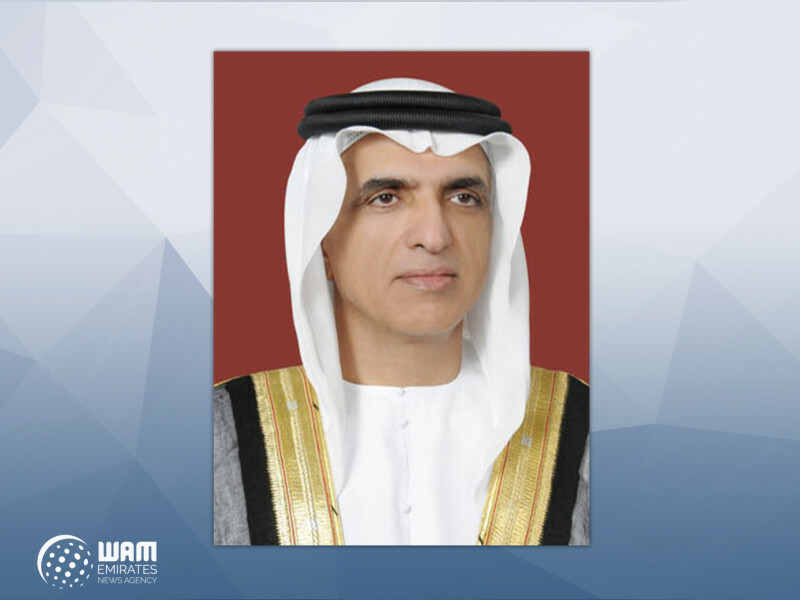 Sheikh Saud bin Saqr Al Qasimi, Supreme Council Member and Ruler of Ras Al Khaimah, has said that the UAE, under the leadership of President His Highness Sheikh Khalifa bin Zayed Al Nahyan, and the Vice President, Prime Minister and Ruler of Dubai, His Highness Sheikh Mohammed bin Rashid Al Maktoum, and His Highness Sheikh Mohamed bin Zayed Al Nahyan, Crown Prince of Abu Dhabi and Deputy Supreme Commander of the UAE Armed Forces, has prioritised the happiness of the UAE’s citizens and residents, through driving overall sustainable development, while noting that the country’s stability has made it a destination for quality of life and stability. During the launch a series of new projects in Khor Fakkan by H.H. Dr. Sheikh Sultan bin Mohammed Al Qasimi, Supreme Council Member and Ruler of Sharjah, Sheikh Saud said, "The establishment of a modern and advanced country, which can compete with advanced countries in providing the best services to their citizens, is the approach of the late Sheikh Zayed bin Sultan Al Nahyan. And today my brother, Sheikh Sultan bin Mohammed, is following this approach, through launching a series of vital projects." "I congratulate my brother, Sheikh Sultan, on such achievements that all Emiratis can be proud of. These projects highlight the honourable history of sacrifices of Khor Fakkan’s residents. Development, educational and cultural projects, such as the new Sharjah-Khor Fakkan Road, the Arab Academy for Technological Sciences and Maritime Transport Project, and the Khor Fakkan Lakes Touristic Project, are the vision of Sheikh Sultan for a brighter future for Khor Fakkan and the UAE," he added. "These projects also commemorate the heroic resistance of Khor Fakkan’s residents against the Portuguese invasion, as showcased by the historic film, "Khor Fakkan 1507," along with a number of memorials and excavations on the historic Khor Fakkan Wall," he added, while noting that Sheikh Sultan’s vision has provided Sharjah’s citizens and residents with a decent life and raised their living standards, through achieving sustainable development. Sheikh Saud also pointed out that the UAE’s wise leadership aims to improve the lives of the country’s citizens, while noting that the objective of the national agenda of the UAE Centennial 2071 is to enable the country to achieve economic leadership.